The Mozart Salons is a pair of concerts at Wilton's Music Hall in which violinist Peter Sheppard Skaerved will perform Mozart's works for violin and piano, complementing them with contemporary pieces. On Friday 8 January 2016, Peter Sheppard Skaerved is joined by pianist Daniel-Ben Pienaar to perform four of Mozart's violin sonatas and a new work by Nashville-based composer Michael Alec Rose. For the second concert, on Sunday 14 February 2016, they will perform sonatas by Mozart and a new work by David Lancaster. 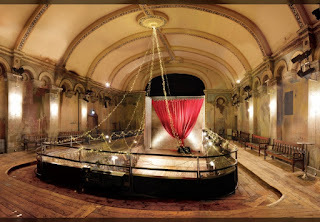 Both concerts are preceded by pre-concert talks; further information from Wilton's website.